I'd like to toot LST's horn a bit and give you a real life example of how effective the LST ministry is. A lot of people (i.e. missions committees) are sometimes a bit leery of LST because they don't understand what it is, what it does, etc. They find it an awful lot of money to spend on such a "short-term" project (although 6 weeks of Bible study is much more than most "short-term" mission trips do) and don't bother to really investigate the invaluable benefits. All you have to do is talk to a person who has participated in LST (yours truly, for starters) to see what a life-changing impact it has on its readers AND workers, an impact on which you absolutely cannot put a price. Do you remember back in December when I told you about my friend Sarah? She started studying the Bible with the LST team in May of 2007. When I arrived in September, she continued with me. She also began a Portuguese study with one of the missionaries. All during this time she became incredibly involved with the young people and began to change her life. In December she was baptized. In February she convinced her Dad (although I don't think it too much convincing, her parents are truly lovely people) to let the entire church take over his house/ranch during four days of Carnaval so we could have a retreat. Then, over the last few weeks she spent morning, afternoon, and night at the church building, getting ready for VBS. On Sunday the missionaries called her forward during the worship service to give her a gift of appreciation, because she went above and beyond to ensure that VBS 2008 was a success. (And it was!) I couldn't help but get a bit emotional...one year ago we were only praying that one day she might make the decision to follow Christ...and today she is receiving awards for her service in the church! GOD IS GOOD! So how does this toot LST's horn? Sarah never would have walked into the doors of Comunidade de Cristo had she not seen an advertisement for free English classes. Those English classes changed her life. Those English classes introduced her to Jesus. And she won't even speak English with me anymore...she's too busy planning VBS! I am not feeling flowery tonight, so this will be short and photo-ful. I just wanted to tell you about a session I had yesterday with a new reader. She is already a Christian and very involved with her church, so I knew that as we read the story of the baptism of Jesus she would have insights to share that are quite a bit different than those of people who are reading the story for the first time. We talked about the significance of Jesus' baptism, the significance of John the Baptist's explanation of the coming of the Christ, etc. After all was said and done, I asked my standard capstone question. "So, Lia, what does this story mean to you?" She sat there for a minute and thought, then got a smile on her face. I'll never forget the tone of voice she used as she said it, much less what she said. With a little laugh she said "It's so humbling. It just shows me how...nothing I am! John the Baptist was JOHN THE BAPTIST. If he said he wasn't even worthy to untie Jesus' sandals for him, what does that make me?!" I loved the way she said it, so confident that she is, in fact, nothing, but at the same time fully confident that through the gift of salvation and by the grace of God she is so much more! I'm trying to go to sleep with the window open, just as I do every night. There is always activity down in the neighborhood below, the neighborhood which I affectionately refer to as "A Favela da Cris" because that's what it is, but tonight I hear a sound that I've never heard before, and, quite frankly, am unsure that I will be able to fall asleep if it doesn't stop soon. I think there's a Gremlin down there. The sound is not human. It is not feline. It is not canine. It is not the garbage truck that is collecting trash at 12:30 in the AM. It seriously sounds like a Gremlin. What does a Gremlin even sound like? THAT. I just spent 3 hours trying to clean and rearrange furniture (to the overwhelming joy of my downstairs neighbors, I'm sure) to prepare for the new roomie I get tomorrow. Lacy is arriving tomorrow afternoon to work as an LST intern for the next year. She is lucky enough to get to live here above the favela with me. I should also mention that although I worked for, yes, a full three hours, I still am not done. As often happened in college as I attempted to stay up late studying or working on papers...I just throw in the towel and say yeah, right. It'll get done eventually. The most important part is that her bedroom and bathroom are clean and that my door can be shut. 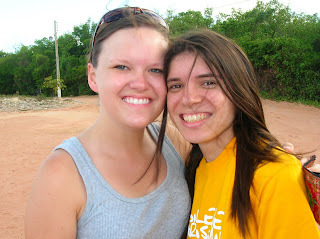 :) Please be praying for Lacy as she begins her new life here in Natal and settles into the work and lifestyle. Also pray for me that I will be sensitive to her adjustment...sometimes I forget to do that and just assume that everyone is trekking along at the same pace as me. FYI, the Gremlin has not stopped yet. Goodnight! 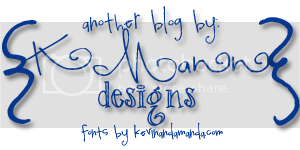 Hi, my name is Cris, and this is my second time to BBA (Bad Bloggers Anonymous). Like most newbies to a 12 step program, I am having difficulty in accepting the responsibility in delinquency of blogging and therefore choose to put the blame 100% on my parents. Thankfully, in this case, I am not just deferring guilt but rather doing it rightfully so, as my parents' LST project here in Natal takes up 120% of my time. And I am loving every second of it! I didn't come back and post all the pictures I wanted last time (a typical characteristic of BBA members) but I am ready and willing now. The last few weeks have been a blast. We've had very fun and successful parties with great turnouts. We continue to sign up new readers, and although this project will end after next week, I am PUMPED about continuing the studies with the current readers. And I have never worked so hard as I have these last few weeks. So...because I have nothing more to say (my brain is shot) I will leave you with some pretty pictures to look at that will tell the story of the last few weeks. I hope to be back soon, rehabilitated from my lack of responsibility in the blogging world. Goodnight! Dad explaining to Brazilians how to play baseball. After the explanation, 90% of them still didn't get it. However, that did NOT keep them from having an absolute BLAST playing Homerun Derby! Emanoel, one of my dearest readers, finally came to his first LST party!